This week we featured healthy cherry recipes to make the most of the fruit while they’re in season. First up was an easy overnight recipe for Chocolate Covered Cherry Refrigerator Oatmeal. 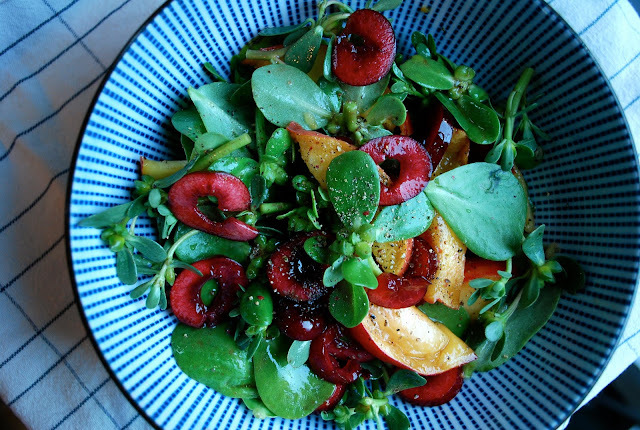 This Purslane Salad with Cherries and Peaches combine the ripest produce in a healthy and unique salad. This Sparkling Cherry Spritzer is a refreshing way to drink your fruit. 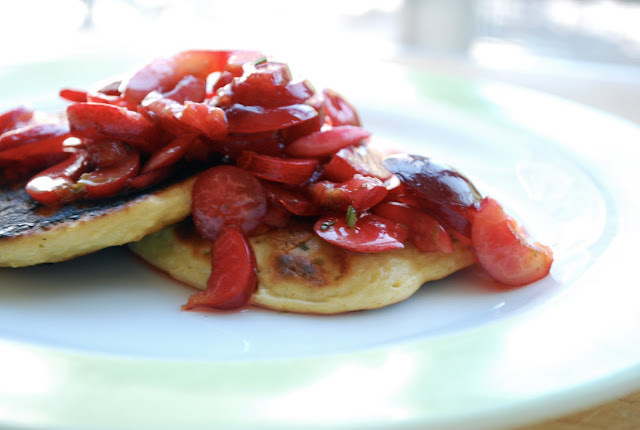 These Rosemary Polenta Pancakes with Fresh Cherries and Lime combine the best flavors of the season. This Tomato Bruschetta with Sweet Cherries is a new take on a classic, mixing sweet and savory. Very Cherry Hazelnut Coffee Cake takes some time, but it tastes like an old-fashioned breakfast straight from Grandma. This Bittersweet Chocolate-Cherry Sorbet with Fresh Cherry Compote tastes rich but is still only 197 calories.